Responding to the challenge of creating a product for Eileen Fisher out of donated fabrics, I chose to create this unconventional placemat/mat of place. 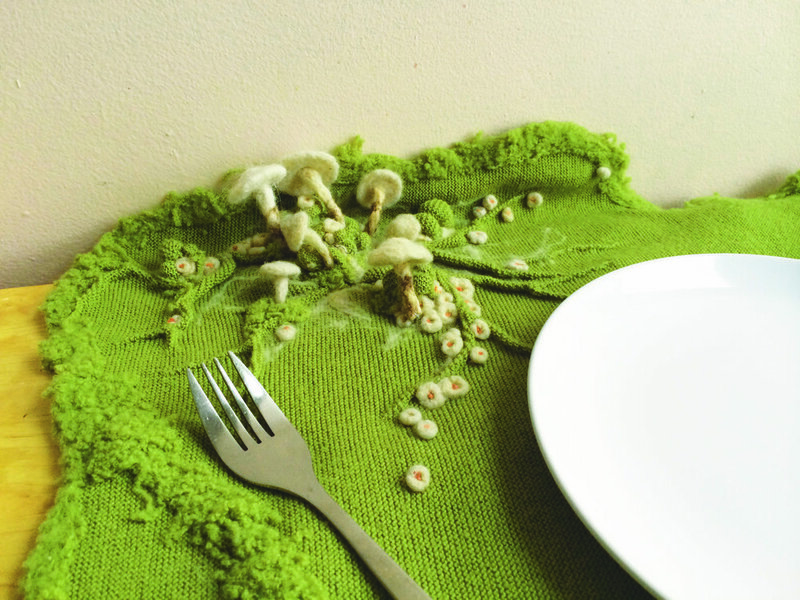 Locally sourced wool was felted in order to create delicate mushrooms and moss. I hoped that these intricate elements of mimicry would comfort urban dwellers who don't easily have access to green space.